The boss of Tata Steel in the UK has stated that parts of the UK business that are independent to the loss-making Port Talbot plant could be dealt with separately. Steel industry representatives including Bimlendra Jha, CEO of Tata Steel UK and Sajid Javid, Secretary of State of the Department for Business, Innovation and Skills (BIS), where questioned yesterday by the BIS Committee about developments in the UK steel industry. The Committee reported in December 2015 that the Government was not alert enough to the warning bells sounded by UK steel industry. Since then Indian-owned steelmaker Tata Steel concluded that it is exploring all options for portfolio restructuring including the potential sale of Tata Steel UK, in whole or in parts. The formal process began on April 11 with contact made with 190 potential financial and industrial investors worldwide. 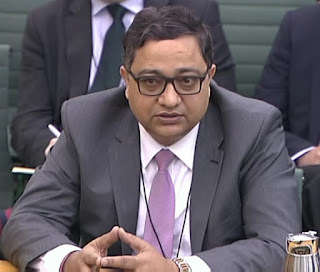 Bimlendra Jha, CEO of Tata Steel UK (pictured), told the committee: "We have given a timescale for different stage gates but what's not there is the ultimate timeline. However, I have expressed a sense of urgency and we need to do something about it because otherwise there is only one person in the room that pays the bills and that is us. "We would not be selling the business if we were not losing money. "We have to remove uncertainty for our employers, our suppliers, our customers and our shareholders. Being accused of accelerating the timeframe is misplaced because actually it is being a responsible seller - we want to reduce that uncertainty by doing it in a very, very short time. "The Government has given us letters that we are using to reassure suppliers." It has been reported that a number of parties have been in contact with Tata regarding the South Yorkshire assets in Rotherham and Stocksbridge that specialise in carbon, alloy and stainless steels for demanding applications like aerospace, motorsports and oil and gas. One interested party is led by former Corus CEO, Tony Pedder. The standalone Speciality Steels business is Tata Steel Europe's only Electric Arc Furnace based business and produces around 225,000 tonnes of steel with a £275m turnover. Until recently it employed over 2,000 people. It is not considered a downstream business linked to Port Talbot and Tata Steel's strip products. When asked about the Port Talbot works and selling off separate parts of the UK business, Mr Jha said: "We have to find a solution to the whole. In finding that solution for the whole, if there are some very small parts, and independent parts, we can deal with it. But we would not deal with it that somebody says: "Leave alone Port Talbot and give us the rest," that's not a solution that is acceptable." The Tata Steel UK boss also discussed the need to address the large pension pot and said that if energy costs in Britain were the same as in Germany then Tata would be £40m better off. Sajid Javid MP told the committee: "I will do everything in my power to help, but that is all I can do. I cannot change the price of steel globally. This is a big economic challenge for the country. I don't want to live in a country where we have to import all our steel. "For the thousands of steelworkers and their families and friends affected by this, the message is that we are doing everything we can." Rotherham United are showing their support for the Save Our Steel campaign by dedicated Saturday's game against Blackburn Rovers in support of the workers at Tata Steel.